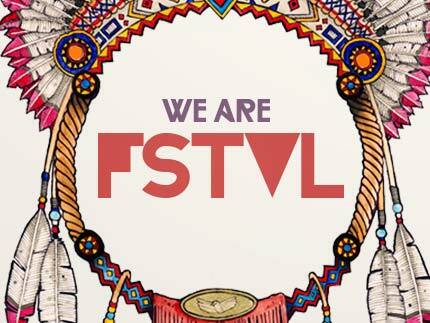 You are here: Home / news / We Are FSTVL – makes us want summer NOW! Back in January we bought you the latest mouth-watering line up additions from: We Are FSTVL, a brand new 15,000 capacity dance festival launching in May 2013 which promises to bring together the biggest names in electronic dance music alongside some of the world’s leading club brands and labels in a remarkable setting. And now our appetites have been whetted some more as they unveil yet more musical goodness. Taking place on Saturday 25th May 2013, the inaugural festival will play host to over 70 acts across 10 stages and arenas over one magical day from 11am- 2.00am. Just have a little looksee what they have in store! Not content with hosting an expansive world class line-up, We Are FSTVL will be placing a huge emphasis on production to create an unrivalled festival experience, never before applied to the UK dance festival market. Expect to see an arena made entirely out of shipping containers, a 2,000 capacity beach arena inspired by a tiki paradise and a secret crop circle rave, each with its own set of LED video walls, state of the art lasers and Funktion One Sound systems. Plus prepare for unexpected twists and surprises nestled away such as dress-up boxes and play areas for those who want to blend seamlessly into their fantastical surroundings and bespoke never-before-seen design details, making We Are FSTVL set to be a game-changer. Founder and Creative Director Nikki Gordon is formerly from the team behind the TDK Cross Central, The Cross, The Key and the recent Luciano Cadenza Vagabundos show which took place earlier this year. He has delivered numerous events spanning the last 14 years, working with some of the world’s leading artists and brands across the electronic music spectrum. See you all at the front!! Quick fire interview with Dimitri From Paris ahead of his Slide Gig.